June Merritt spends her days practicing a unique method of spreading joy and giving back to the community. “I let go and slowly lifted my hands into the air. The joy of the Lord came rushing in. I felt His peace all around me. I will never forget that,” she said. 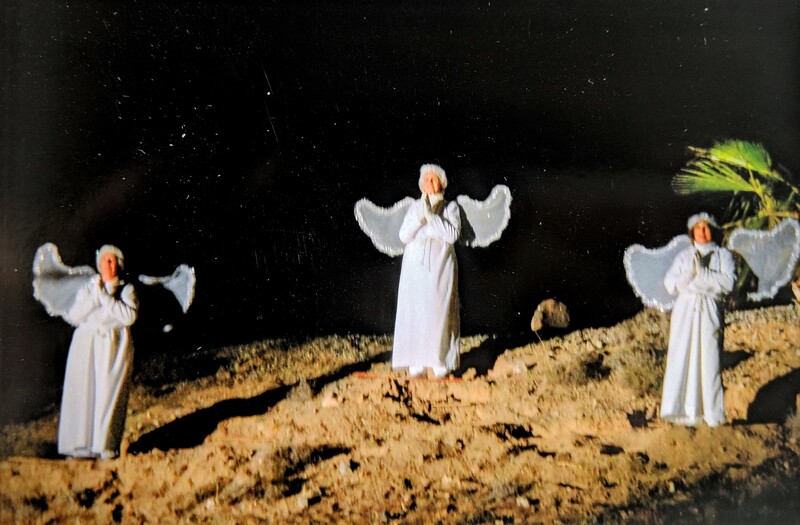 From that moment, Merritt knew her gift to the world would be tucked in angel wings. 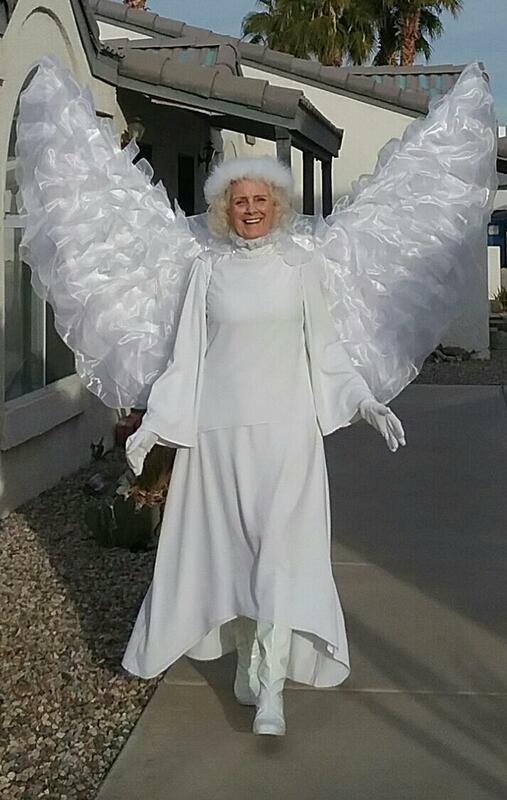 After the first season as an angel, her church asked if she would redesign and fabricate new wings for future participants of the event. 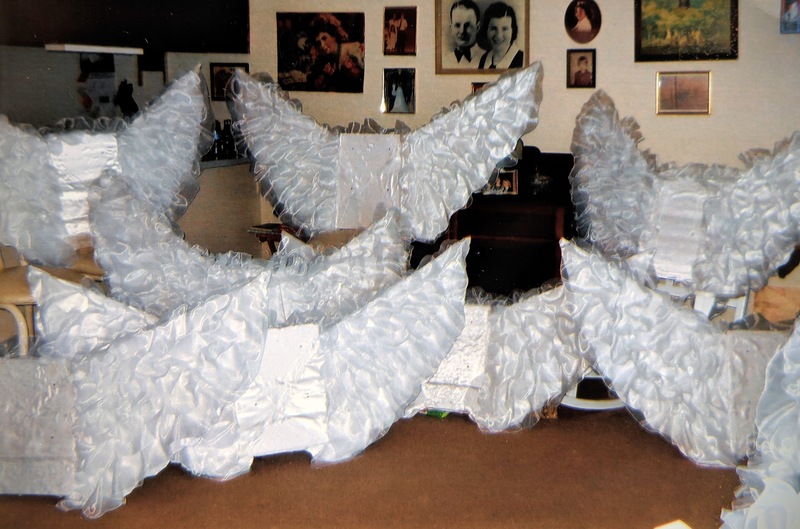 Pondering and researching for months on the perfect pattern without satisfaction, she received a vision of exactly how the wings would look; A soft chiffon-esque material lightly draped and meticulously pinned in more than 400 places on a thin cardboard backing. 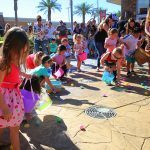 After the event, she knew this was her way of spreading her God’s love and inspiring joy of others. So, Merritt became a rogue angel that came out of the shadows all year long. 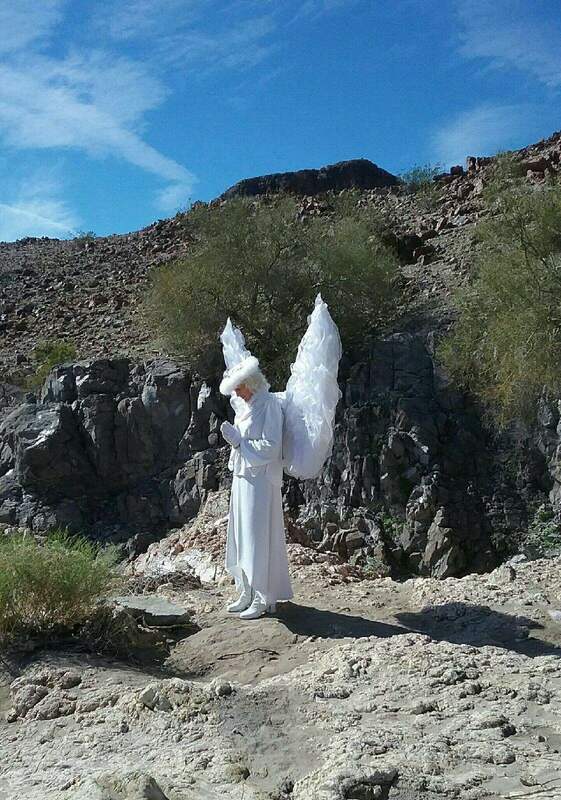 For the past four years, locals and visitors of Lake Havasu have spotted the “Havasu Angel” walking down McCulloch Boulevard, across the bridge, through the channel and at other various private locations throughout town. As she traverses the pavement in full costume, she loves to hand out roses along with wisdom and love. She also has created special bracelets wrapped around notes explaining their significance. 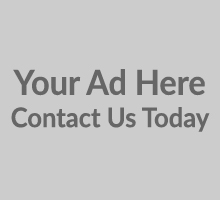 The goal is to leave a tangible representation of the message she intends to spread. 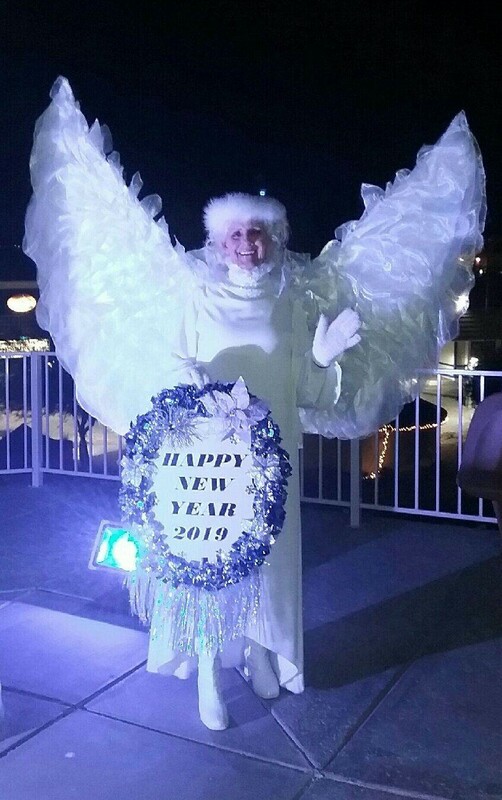 Most recently, visitors under the London Bridge were able to ring in the New Year with photos of the Havasu Angel with her florally framed “New Year’s 2019” sign. Merritt recalled a time where a car stopped in the middle of the road on the London Bridge after spotting her. As she walked toward the car to hand the driver her signature rose, the back seat window rolled down to reveal a little girl, shy yet intrigued by the live angel in front of her. 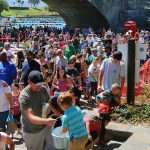 Believe it or not, one of the Havasu Angel’s favorite times of year to walk through the Channel is Spring Break. Though she stays out of the big crowds, she stays in the area, greeting the “amazing young people” (as she calls them), telling them about “God’s love” and sharing smiles. Of course, Merritt is happy to talk to anyone who stops and participate in a photo. 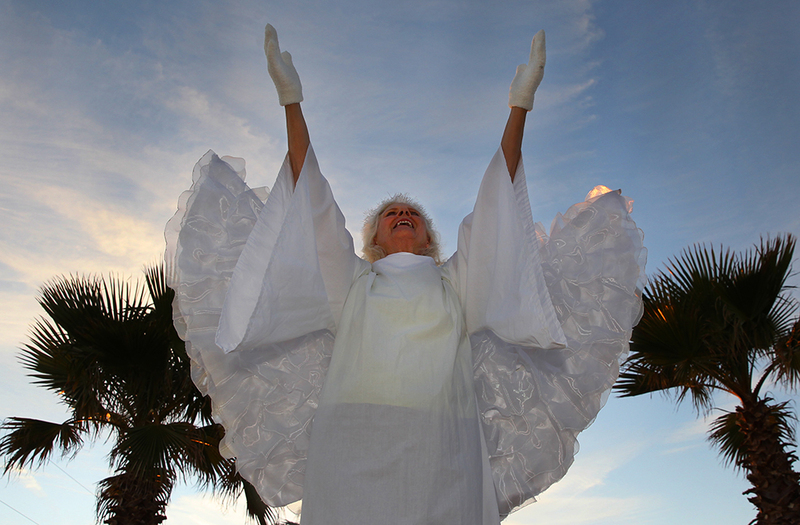 Throughout the year, especially during holidays, keep an eye out to catch the bright white outfit and glorious wings as she waves to drivers and pedestrians. 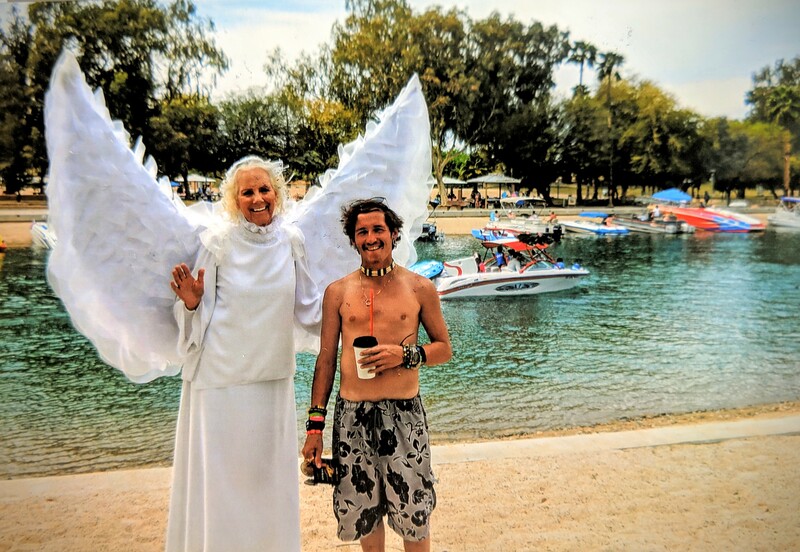 The Havasu Angel has become a Havasu oddity, treasure and blessing in one elegantly winged package. Awwwww I love this! I just moved here from and my heart has been so happy ever since. 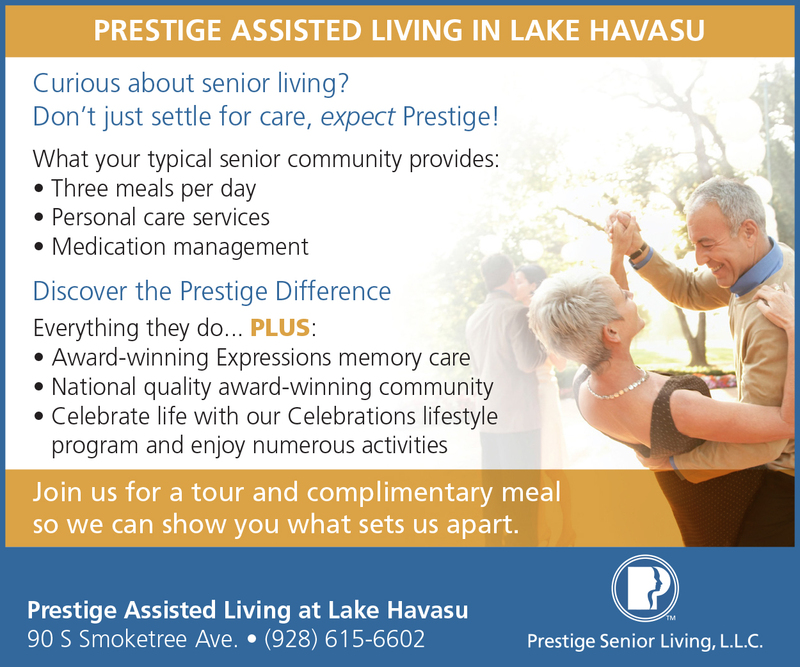 Lake Havasu is a special place.